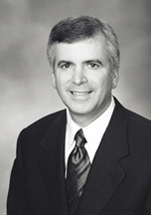 Kevin L. Grambush, CPA/ABV - Brueggeman Johnson and Yeanoplos P.C. Located in our Seattle office, Kevin L. Grambush is a shareholder in the firm of Brueggeman and Johnson Yeanoplos, P.C., providing business valuation and economic damage analysis. Previously, he was the President of Grambush Valuation Advisors, which was formed in January 1999 when the valuation/litigation division of a local CPA firm was spun-off into a separate entity. Mr. Grambush has been a CPA since 1980, and has received accreditation in business valuation (ABV) from the American Institute of Certified Public Accountants (AICPA). Mr. Grambush has been performing business valuation and litigation support/expert witness services since 1984. Mr. Grambush was a founding shareholder of the CPA firm of Martin/Grambush PC, a local Kirkland, Washington firm of approximately 30 people, listed by the Puget Sound Business Journal as one of the top 25 CPA firms in the Puget Sound region. During his 19-year tenure at Martin/Grambush, Mr. Grambush was the director of auditing as well as the director of business valuation/litigation services. As the business valuation/litigation services practice continued to grow, the firm split off the business valuation/litigation services division into a separate entity under Mr. Grambush’s direction. Mr. Grambush is also an instructor for the AICPA, teaching business valuation courses to CPAs across the country who are interested in becoming accredited in business valuation. Mr. Grambush has also served as an instructor for the Washington State Society of CPAs (WSCPA), teaching both business valuation and litigation related topics. He has also authored and taught courses qualified for continuing education credits by the Washington Society of CPAs and the Washington State Insurance Commissioner’s Office, and qualified for continuing legal education credits by the Washington State Bar Association. Mr. Grambush has experience working in a wide variety of industries, has performed hundreds of business valuations, and has testified in deposition or trial on more than 60 occasions.